As the NBA playoffs garner energy across the city of Cleveland, the beloved Cavaliers aren’t the only ones playing basketball. 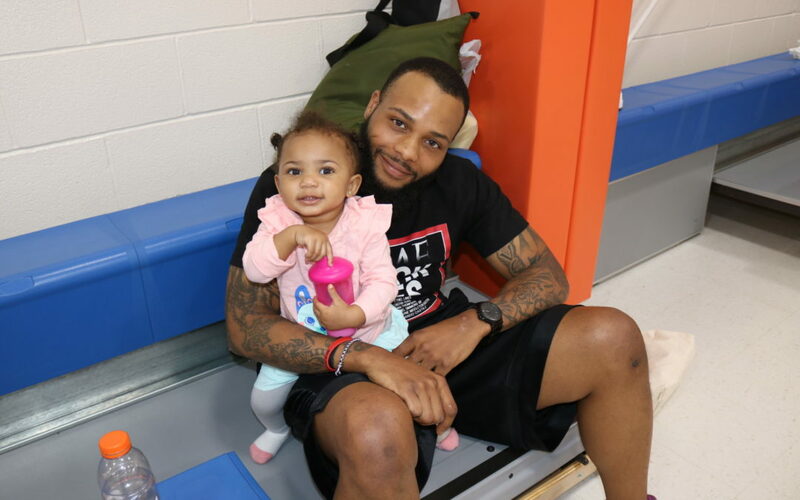 On Friday, CEOGC’s Willard Head Start Center held its 2nd annual “Hoop It Up” event for students and staff, inviting a host of fathers and father figures to come and participate in the games. The idea is to increase parental involvement in the childrens’ lives; and although it wasn’t limited to just males, the emphasis is on fatherly engagement. The gym was packed with families looking to watch their daddy’s play ball against the Head Start staff for the heavily coveted trophy. 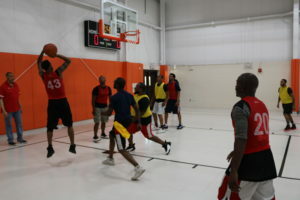 The winning team gets bragging rights for a full year – a nice incentive to keep everyone engaged and competitive. Steven Rhodes, head of CEOGC’s Fatherhood Initiative, focuses on keeping fathers involved with their children. 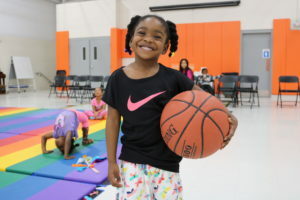 He sees the father’s role in a child’s life as essential to development; the “Hoop It UP” event shows firsthand the benefits of children seeing their fathers active in their lives. For future events, Rhodes hopes to receive more engagement from local professional and collegiate sports teams. Last year, the Cavs mascot, Moondog showed up and got the crowd hype. “I think we should look into getting Cleveland State involved but if not, I’ll just have to reach out to Austin Carr again for next year,” he said. This year the trophy was able to stay home with the staff squad, but no matter how competitive the game became or what the outcome was, the ultimate win was being able to see the ecstatic smiles on the kids’ faces.